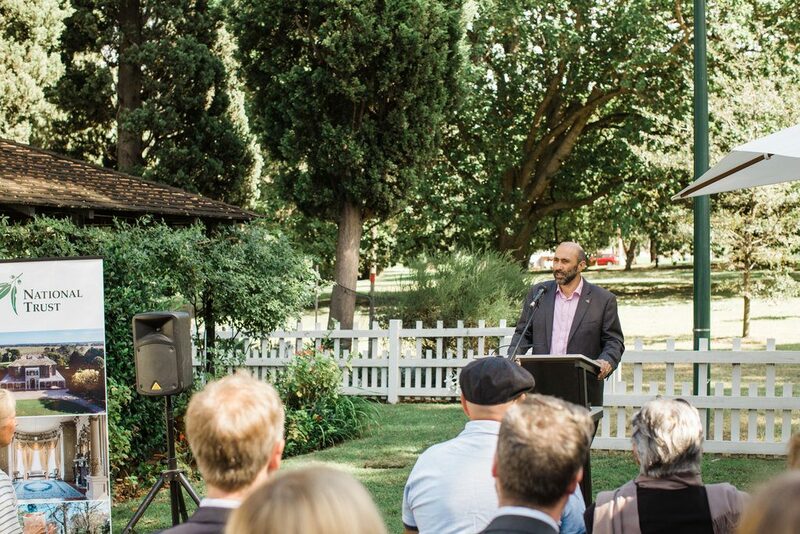 In March 2018 we held an event at La Trobe’s Cottage to officially launch our Innovative Reconciliation Action Plan 2017-2019. 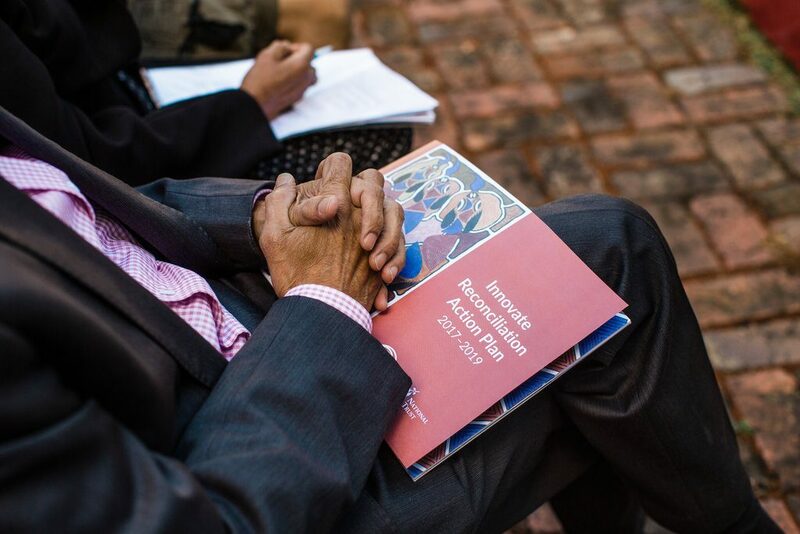 This was a great opportunity to reflect on our Reconciliation achievements so far; to set ambitious goals for the future; and to thank our internal and external stakeholders for their ongoing guidance and support. The decision to fly the Aboriginal flag at the property reflected our deep commitment in recognising and acknowledging the many layers of significance at our properties. Wurundjeri Elder Uncle Perry Wandin and Boon Wurrung Foundation CEO Gheran Steel both provided a Welcome to Country, reflecting on their connections to place and the importance of Reconciliation in acknowledging and communicating the stories of our collective pasts. Guests also heard from Board Director and Chair of our Aboriginal Advisory Committee Ian Hamm; and former Chair of the Victorian Aboriginal Heritage Council Eleanor Bourke; and were treated to delicious seasonal catering by Charcoal Lane, a Mission Australia social enterprise restaurant that provides guidance and opportunity to young people, many of whom that are Aboriginal, and in need of a fresh start in life. The event would not have happened without the strategic guidance and input from our Aboriginal Advisory Committee in the months leading up to the event. This past year we welcomed three new members to our Aboriginal Advisory Committee; each with a deep connection to Country and diverse experience in architecture, archaeology and urban planning; the Board undertook Cultural Awareness Training with the Koorie Heritage Trust; and our Advocacy Team presented at the Registered Aboriginal Party Forum in Horsham, which included an onsite visit to Ebenezer Mission and Wail Nursery with the Barengi Gadjin Land Council. At our properties, this past year saw the formalisation of a partnership with the Bunurong Land Council to develop an education program at McCrae Homestead, which has included the recruitment of an Indigenous Learning Facilitator Samantha Trist, and the commencement of stakeholder engagement to inform a strategic implementation plan for the Old Melbourne Gaol Aboriginal Cultural Heritage survey. 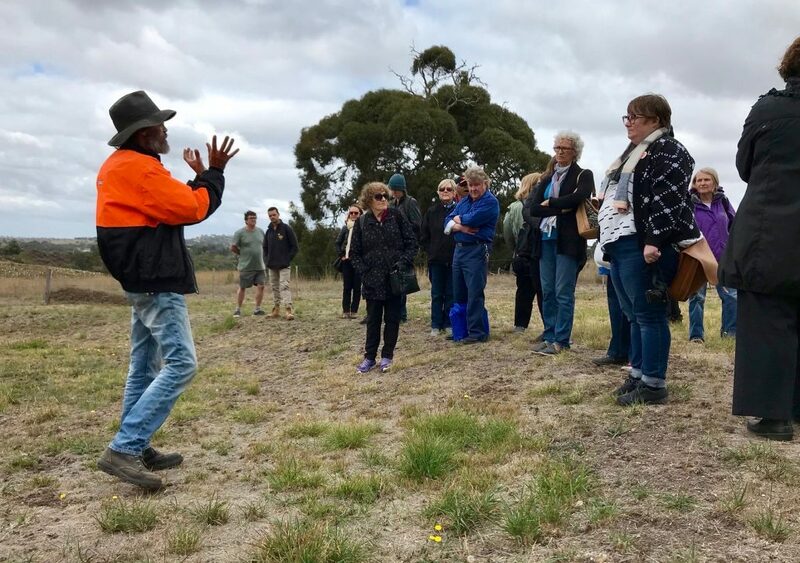 Our Aboriginal Advisory Committee have been keen supporters of both projects, and have provided essential advice to National Trust staff in progressing critical elements as each project unfolds. 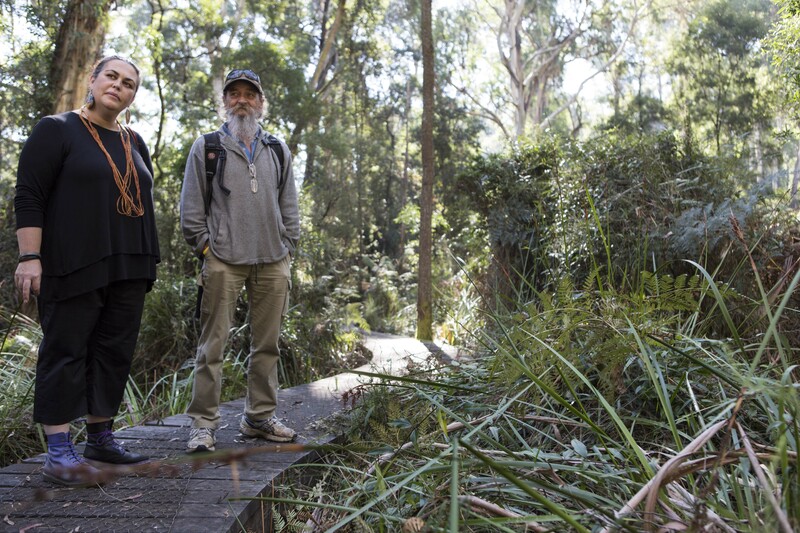 This past year our Aboriginal Advisory Committee has also provided strategic guidance regarding the Aboriginal cultural heritage component of the Rippon Lea Estate Re-Interpretation Project, the Draft Strategic Policy for National Trust properties, and advocacy surrounding the Sunbury Rings Cultural Landscape. We were excited to launch a dedicated section in the Australian Heritage Festival program for Aboriginal Cultural Heritage events which included a tour of the Sunbury Ceremonial Rings with the Wurundjeri Land Council, a Birrarung Wilam Walk presented by the Koorie Heritage Trust, and a fireside chat with a Dja Dja Wurrung Elder at Harcourt. Wurundjeri Elder Uncle Bill Nicholson provided a Welcome to Country at our Festival launch event, a panel discussion titled ‘What is Heritage in the 21st Century’, and our Mornington Peninsula Branch organised a floor talk and guided walking tour of Endeavour Fern Gully with artists from Baluk Arts, an urban Aboriginal community arts centre based in Mornington.